We are a tuition-free, public charter school serving K-8 students throughout Toledo, Ohio. We are AdvancED Accredited. Our school is conveniently located on Glendale Avenue, just southwest of downtown Toledo. Free bus transportation is provided for families that live 1 to 5 miles from the school. 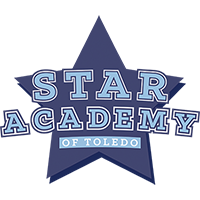 STAR Academy of Toledo is known for being a school that feels like home and family, and for its exceptional academic results. STAR Academy is authorized by Charter School Specialists, CSS, and managed by ACCEL Schools, an established network of more than 40 charter schools located throughout the US.